Cassandra Clare is on a writing retreat in Italy right now and it looks like her muse is very busy since she has just shared yet another short story for her many readers. 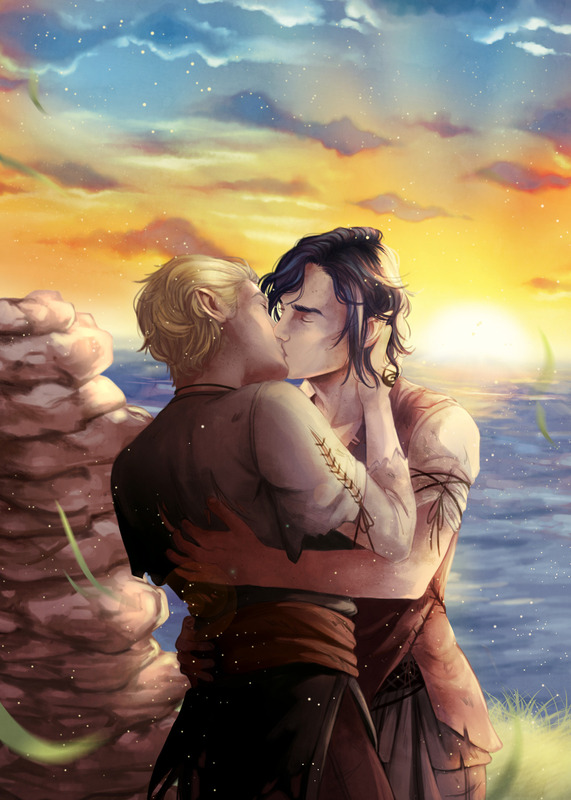 This story features Mark Blackthorn and Kieran of the Wild Hunt before the events of Lady Midnight. Furthermore, Loweana contributed a cute art piece for Stars to Burn. Please only read the following story if you do not mind mature content! Queen of Air and Darkness, the last book in the The Dark Artifices trilogy, is slated for a 2019 release. What do you think of this new short story? Tell us in the comments below! Writer for TMI Source and 'The Shadowhunter Chronicles' lover extraordinaire. Fangirls over books, history, German football, movies and fictional characters.